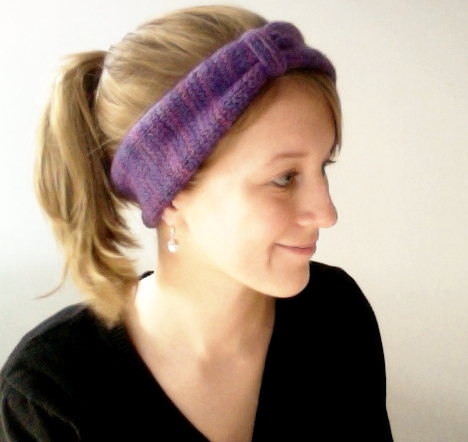 Urban-Inspired Ear Warmer - Free Pattern! I hope you all had a wonderful holiday season! It's so nice to be home and to have a break from school for a bit. 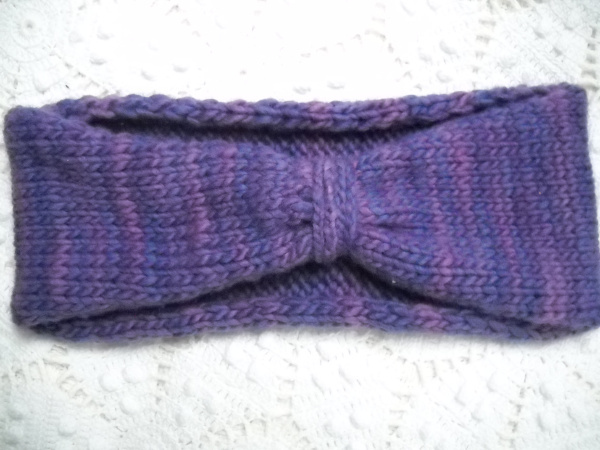 I've been using my extra free time to finish up some of the year's knitting projects and also design this new one. This is the first time I've actually wrote down instructions for something I made up and I'm excited to share it will you! This ear warmer is inspired by one I saw on the Urban Outfitters website. It was so simple and looked so nice I had to give it a shot at making my own. Provisionally cast on 27 stitches. Row 1: Slip first stitch, K to second to last stitch, P last stitch. Row 2: Slip first stitch, P to end. Repeat rows 1 and 2 until piece measures about 18" from beginning. (If you're worried about fit/tightness, I always find the best way is to put the band around your head, measuring it to your particular fit, and ending when it feels right for you). 3. Block! 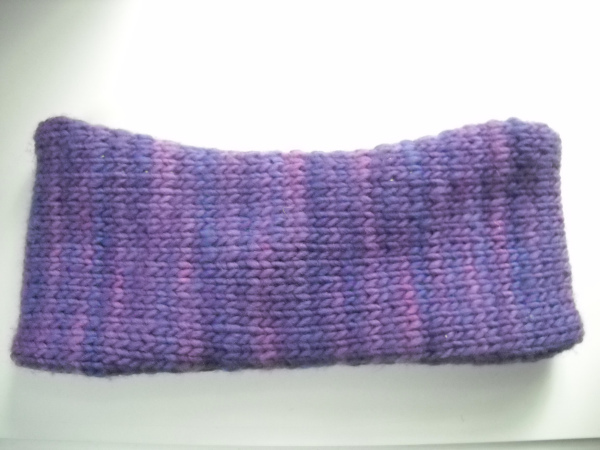 The earmwarmer will have the tendancy to curl, but blocking will slightly reduce this. 4. Cut three long strands from the same yarn. Using a crochet hook, fold the strands in half and draw them through the edge of the earwarmer. 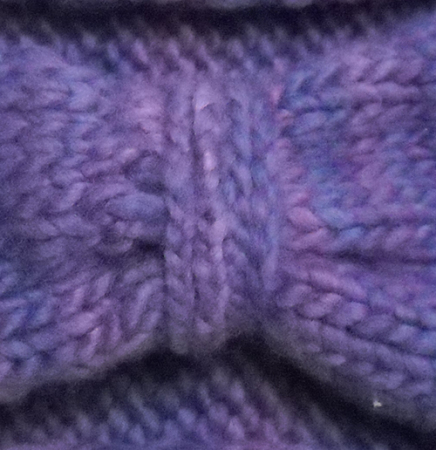 Leaving a loop at the top, draw the ends through the loop, attaching the strands to the earwarmer. 5. Braid two braids from the 6 strings, hold them together, and wrap them around the width of the earwarmer. Continue wrapping until the gather is as big as you like. On the wrong side, tie the braids off and hide the ends in the wrap. You're done! Enjoy your new earwarmer! This is my first pattern so if anything is unclear or you need any help please feel free to contact me.